Back plate – also known as an escutcheon plate. This is the decorative metal cover that usually conceals the mechanism that allows allows the door lever to function. Each manufacturer has their own way of making the lever functional but there is a lot of commonality. For example, the “stem” end of our door levers is cast and machined so that it is a square hole that accommodates an 8 mm square spindle. 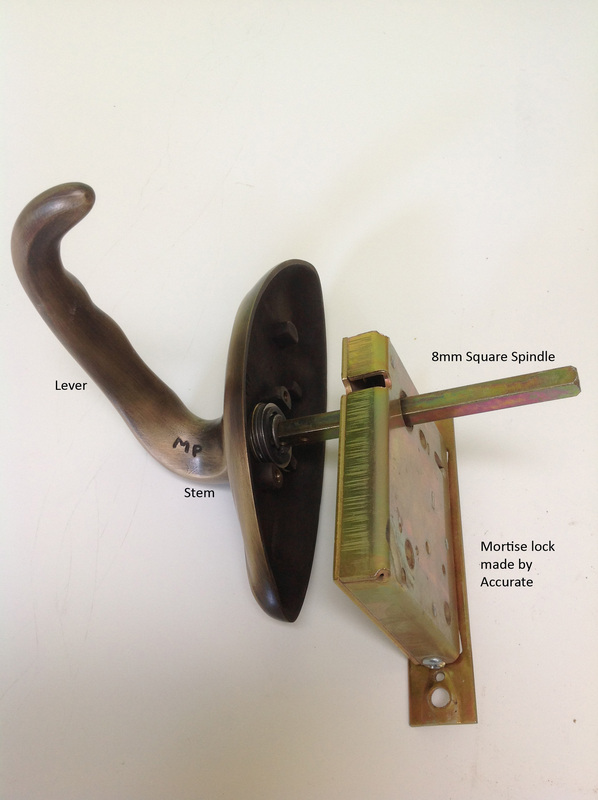 This “8mm on the square” spindle has its roots in Europe but most of the really top notch American lock companies, the premier being Accurate lock, use this configuration in their mortise locks so we have too. Alternatively the spindle can be diamond shaped and is often 7mm. One end of the spindle fits snugly into the end of the lever or knob and it is held in place by various springs, screws and clips. The other end passes through a hole in the back plate and then goes through the door into the lock regardless of whether it is a mortise or tubular lock, and then passes through to the end of the lever on the other side of the door. 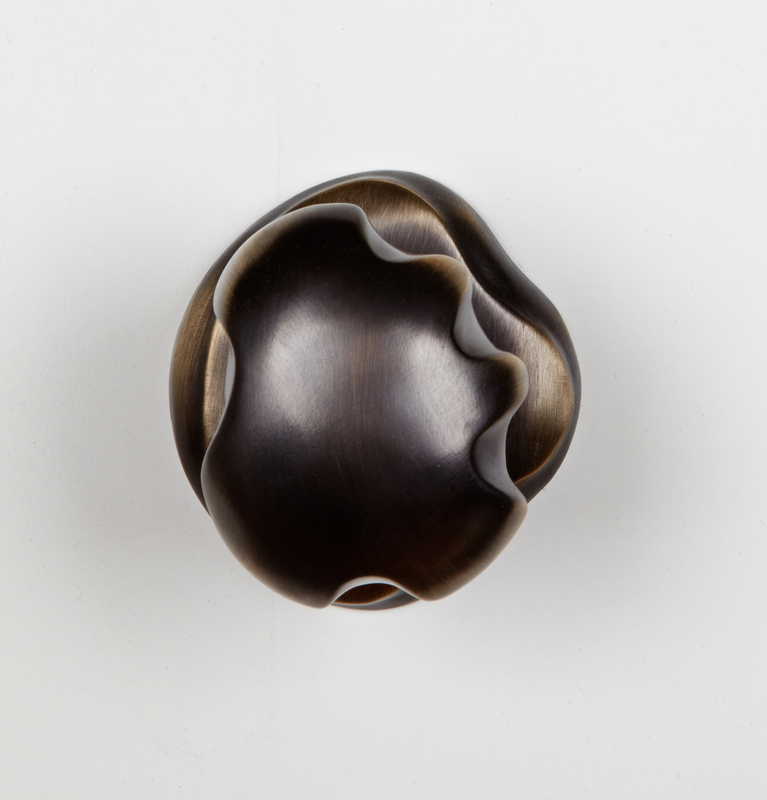 Rose – typically used for door knobs it is the equivalent of the back plate but, as its name suggests it is round in shape. Many of our custom decorative roses are organic and tend to be irregular in shape. 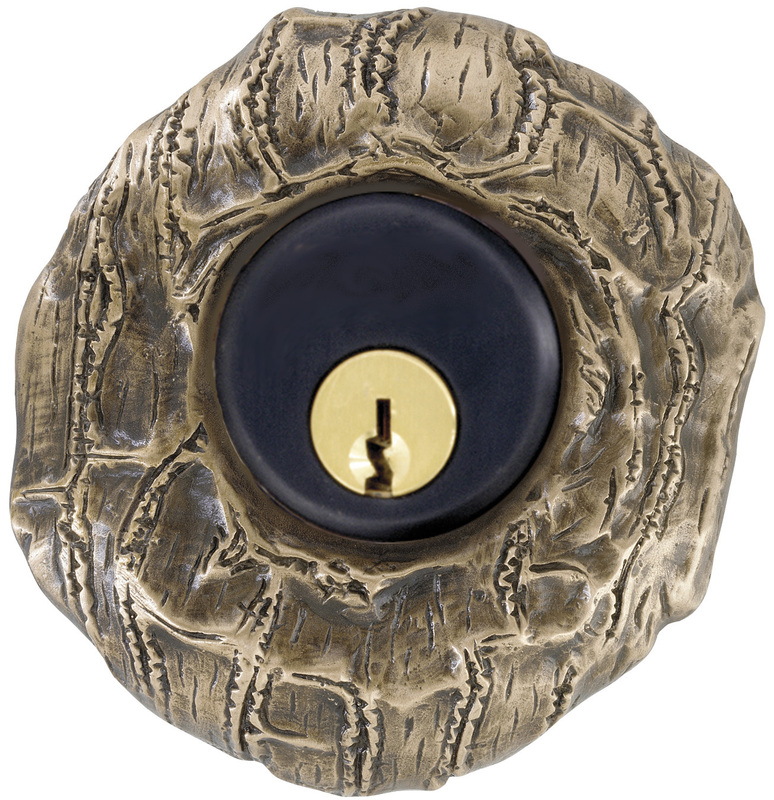 The rose is also used to house the cylinder lock, again serving the purpose of concealing the moving parts. If you would like to see some of the pieces shown above or view our entire collection of architectural hardware, please visit our site at http://www.martinpierce.com. This entry was posted in Uncategorized and tagged architectural hardware, bespoke architectural door hardware, bespoke door hardware, custom door hardware, door hardware, door hardware terminology, door knob, door knobs. Bookmark the permalink.